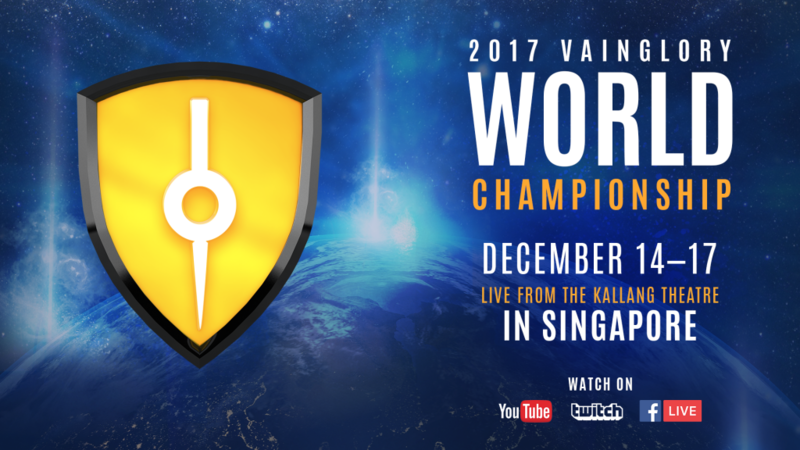 [Update, 28 Sep] Super Evil Megacorp has officially announced that the Vainglory World Championship 2017 will be held in Singapore from 14 – 17 December. 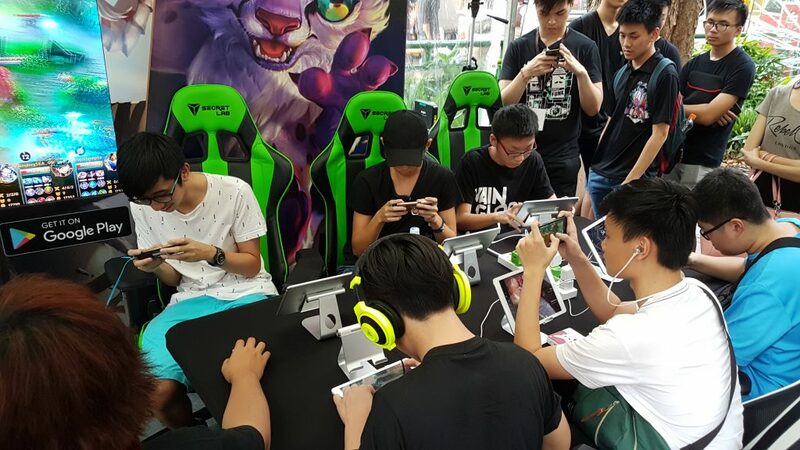 The tournament will take place at the Kallang Theatre, and will see the top 12 Vainglory teams from all around the world fighting for the prize pool of US$140,000. 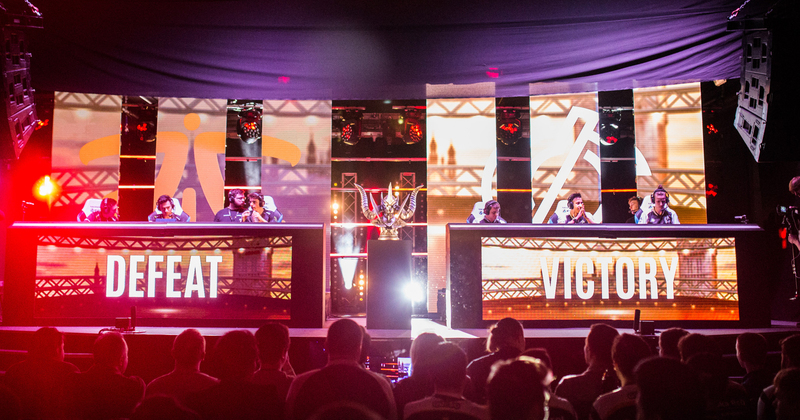 This is an increase from last year’s prize pool of US$120,000. Super Evil is also set to showcase the upcoming 5v5 feature which it announced was in development earlier this year. Super Evil Megacorp, California-based creators of mobile MOBA Vainglory, just announced that they have raised US$19 million (S$25.95 million) in funding from its existing investors. The developer has revealed that it will use the financing round to expand its team (which has grown from 50 to 80 in the last six months) and “deliver on its mission to build the best core game experience for the touchscreen generation”. The studio is also currently heavily focused on developing the game’s 5v5 mode – which is expected to “add to the strategic depth of the game and offer more to the already thriving Vainglory competitive community”. Perhaps this is a move to counter popular mobile MOBA Mobile Legends, which has players battling its out in teams of 5. Since its launch 2 years ago, Vainglory is said to be the world’s biggest mobile esport, and has more than 4,500 teams across North America, Europe and APAC. With 12 million registered accounts to date, the game also has a 10x year-over-year viewership growth. The game is also set to hold its World Championships right here in Singapore at the end of the year, though details of its venue and prize pool have yet to be released. Last year, its first-ever World Championships was held in Hollywood, California, with a prize pool of US$120,000 (S$163,000). 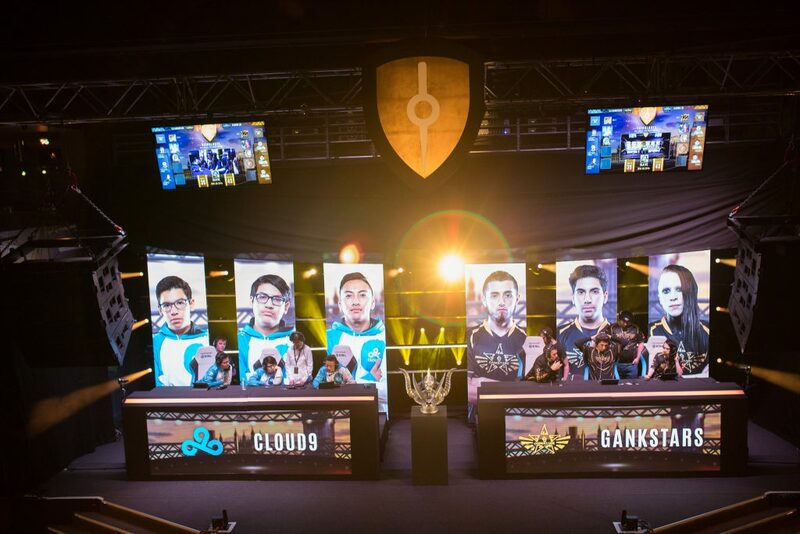 Earlier this year, its Spring Championship, which featured 12 best teams from North America and Europe, competed in a three-day tournament to determine the best team in the West. The Southeast Asian edition of the 2017 Spring Championships was held in Manila. Their holding of the World Championships in Singapore is for good reason, too. 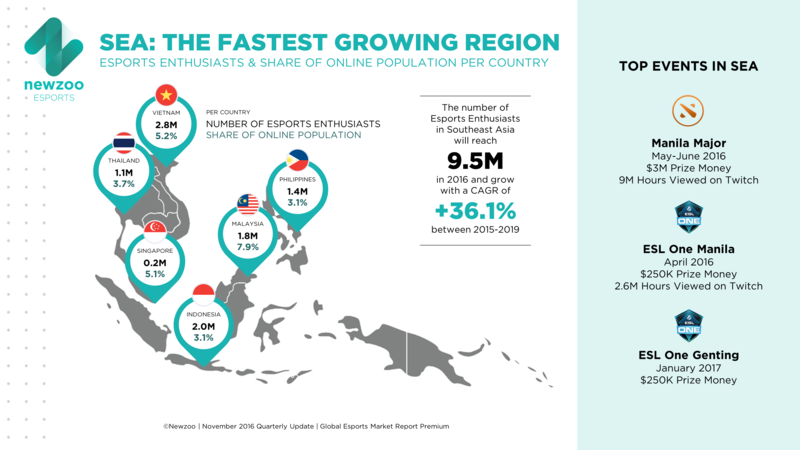 Southeast Asia is reported to have the fastest growing esports audience, with the number looking to have 35.1% yearly growth between 2015-19. 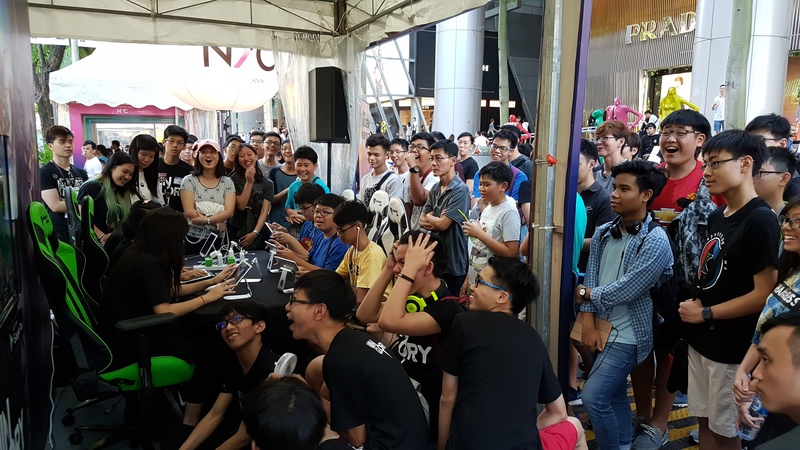 Just last month, the SHINE Festival along Orchard Road also featured a Vainglory workshop, which, needless to say, drew huge crowds. 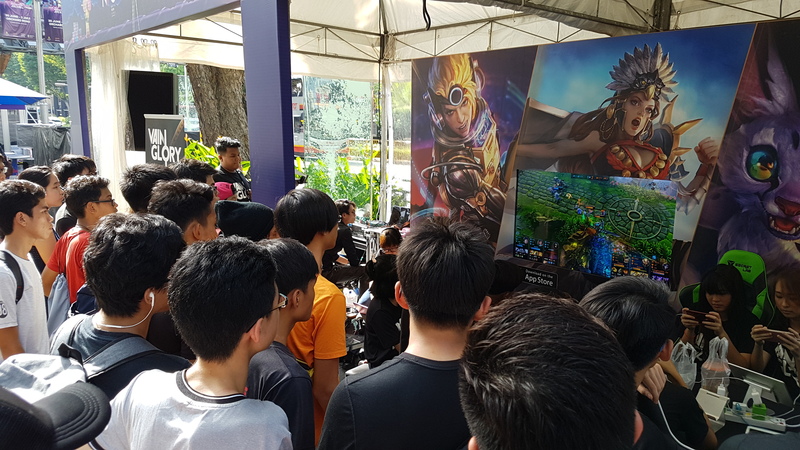 However, it still remains to be seen if it’ll emerge victorious in the two-way mobile MOBA battle with Chinese-made Mobile Legends. Albeit being a latecomer, Mobile Legends has managed to capture the hearts (and data) of Singaporeans, and this is apparent by its stronghold on the app download charts. A quick ask around the office and my social circle also reveals that more have (or are playing) Mobile Legends as compared to Vainglory. Not just for expansion of its team and improvement of the game, it’ll be more interesting to see how Super Evil would use the funding to eventually surpass this strong competitor.